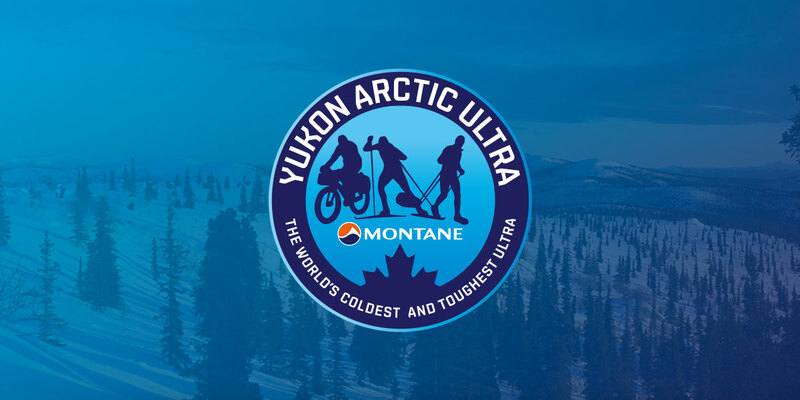 Der Montane Yukon Arctic Ultra 2015 startet am 8. Februar. Die Teilnehmer werden dann auch wieder die Chance haben, am 7. Februar den Start des härtesten Hundeschlittenrennens der Welt mit zu erleben. Denn an diesem Tag starten die “Musher” und ihre Hunde zum legendären Yukon Quest. In 2014 mussten wir aufgrund schlechter Trail-Bedingungen auf den ersten 20 bis 30 km den Start nach Takhini Hot Springs verschieben. Nächstes Jahr ist der Start wieder ganz normal für Shipyard’s Park in Whitehorse geplant. Ich werde nun das Anmeldeformular fertig machen und ab Montag zum Download in der Rubrik Anmeldung zur Verfügung stellen. Sehr gerne verschicke ich das Formular auf Anfrage auch per Email. The 11th edition of the Yukon Arctic Ultra is history. Once again the Yukon has shown us everything it has in store. From warm temperatures down to – 40 ° degrees, ice and open water, sun, snow, northern lights and endless wilderness. It was a great race and I want to thank all athletes who came to test their limits. I also want to thank the entire support crew: Gary & Josh, Glenn & Spencer for the endless hours on their ski-doos and the effort to always be there when needed, the volunteers, staff and checkpoint crew Jessica & Mike, Debra, Marta & Graham, Bernard, Laure-Anne & Anaïs, Nic, Mei, Libby and Diane. All you guys have once again created the atmosphere for the athletes which makes the YAU different and special. Thank you for that and for putting up with long days and lack of sleep. I hope to see you all back! A special thanks also goes to Don from Scuttlebutt Lodge (still thinking about that Pizza! ), the Kruse family and Pelly Farm for opening your homes to us and supporting the YAU year after year. Thank you Takhini Transport and Takhini Hot Springs for helping us out in a very uncomplicated way with our start change. And thank you to all our sponsors and supporters – locally and internationally. Last but not least, thank you to Matthew from Trackleaders.com for getting on a plane and spending a lot of time and money to get the SPOT units to us in time. It was much appreciated and I know that people back home really enjoyed following everyone online. It seems the YAU every year is a bit different. In 2014 for the first time trail conditions due to unseasonably warm weather meant we had to change the start line. Rather than starting at Shipyard’s Park in Whitehorse, we went to Takhini Hot Springs. The entire team there and the Cafe Balzam were great hosts and it worked out just fine. Of course it is a bit less fun to do an out and back but if the alternative is to go for a swim in the Yukon River, there is really not much choice. And I got the feeling that everybody had a good time nonetheless. And how many marathoners can walk straight from the finish line into hot springs? Apart from some soft spots it also became obvious that the trail is hard and that we would have a pretty fast race. We saw some very good marathon times, Stefano Gregoretti from Italy being the overall finisher with 3 h 35 min. Kristin Daniel took first place in the women’s category with a time of 4 h 12 min. One of the great surprises of this race was the fact that we had no athlete scratch at Dog Grave Lake. Normally we have to make several trips to get exhausted or injured athletes out of there. So, my congratulations to all athletes for making it safely to Braeburn through this remote part of our race course. After some very warm days leading up to the start we also all felt that temperatures would change. Even on day 1 it was amazing how much colder it was just those few kilometers out of town. Only one 100 mile athlete did not reach Braeburn. David Bohn had problems with his water bladder and decided not to risk anything. David was going strong and physically he would have had no problem to get there. So, we all hope to see him come back. For the 300 miles things were looking good, too. Unfortunately, Daniele Modolo from Italy had to scratch after the marathon distance and his fellow countryman Davide Ugolini who was in the lead at the time had to stop in Braeburn due to injury. Everybody else left Braeburn Lodge in good spirits, trying to reach Carmacks before the 4 days and 12 hours cut-off. Whilst the first 100 miles went really well for all athletes on the way to Pelly, the trail to Carmacks took its toll. Ali Bajway, Linda Pomeroy, Jorgen Thorsted, Stefan Zahlten and Tim Wilks had to scratch. Very bad blisters, back problems and other sports injuries were some of the reasons. All these athletes still enjoyed the challenge and it looks like we will see them back for another try. Pietro Trabucchi and Gebriela Monti from Italy did reach Carmacks. However, it was just over an hour after the deadline. I felt bad about it but did re-enforce the rule as I think any other decision would be unfair to athletes who had the same problem in past years. Both were very understaning and appreciated the offer to continue unranked one stage further down the trail. At that point in time Johnny from Denmark was already pretty close to the 300 mile finish. Even though we had to hold him in McCabe for safety reasons, he won the race and set a new record. 2nd came another Dane, Torben Jensen. He had demonstrated great determination as for a long time already he was on the move with shin splints. Rank 3 went to Brian Bell from Ireland who not only entertained us with his stories and funny race slogans („It’s further than you think …“) but also was in great shape when he finished. A strong candidate for our 430 miles … James Binks and Robert Hodges came in 4th place. To see James Binks age 69 and Robert Hodges age 62 finish the YAU 300 miles was very inspirational to all of us. It actually seemed that James and Robert got better and better with every mile. Awesome achievement! Next time somebody tells me he or she is too old for something I will have story to tell them. Next to finish were Eliot Caton and John Greenslade. John had been in pain for quite a while with some very bad blisters on his toes and swollen feet. The latter likely due to dehydration. But John had gotten this far and was not going to stop. This also meant that they were able to finish as team Eliot Edward Endurance. Possibly they are the only team ever to manage this. I still need to check my records in order to confirm. Pietro and Gabriela also reached the 300 mile finish. They left out the Carmacks to McCabe stage but I have no doubt they would have been able to go all the way. And to proof it we will likely see them back next year, too. To me one of the highlights was once again Pelly Farm. It’s always been a magic place with incredibly nice people. When I am there, see the athletes come in and how they are welcomed I feel a great sense of happiness. It’s like a therapy from the stress of every day life and you learn again what should matter in life: family, friends, a culture of hospitality and to have time for all these things. Thank you Sue and Dale for this lesson. And to make things even better Pelly Farm switched on the Northern Lights for all of us. What a great way to end the YAU 2014. I still need to finalise the results table. Bare with me. As for next year’s YAU, it should open for entries soon because the Quest set their start date already. I wish all the athletes a quick recovery and many more adventures in 2014. We all will get some rest now before we had back on our long ride to Whitehorse. Tonight at around 6 PM we have a little finisher party at the Deck of the Coast High Country Inn. Everybody who was in the race and is still here – athletes, volunteers, friends and family – we will hopefully see you there. Anaïs Marceau who is here together with her friend Laure-Anne Bouthemy to volunteer at the YAU 2014 gave me some more great pictures to put in our gallery. Later on I will have some more pictures. This time from 100 mile finisher and volunteer Mei Zhou. Robert Hodges and James Binks from England did not sign up as a team. But they sure are a great team! At 19:55 they reach the finish line in Pelly Crossing. This means they are in 4th place. Both finished the 100 miles in 2012. Now they are 300 mile finishers, too! They agreed that the dark is not the issue. “It’s the cold that scares you”, James and Robert said. After having eaten, they will now rest and tomorrow we will drive to Whitehorse. This leaves only John and Eliot in the 300 mile competition. Glenn and Spencer left some minutes ago to go and check how they are doing. Gabriela and Pietro are also stil on the trail but they are unranked as they did not get to Carmacks before the cut-off. Brian really impressed us all with his steady pace and the fact that he crossed the finish line in great shape. Tired of course but no blisters to speak of or other major pains. He reached the finish in 3rd place in our foot category. Brian also gave us some quotes which I think I will put on future YAU t-shirts, like: “It’s further than you think!” or “It’s not just around the next corner”. I am sure all athletes from this and previous years can relate to that. While Glenn and Spencer were in Pelly Crossing last night, the entire rest of the remaining support crew went to Pelly Farm. It was great there! More news about it later. Now we are back in Pelly Crossing and waiting for Brian Bell to cross the finish line. John and Eliot, James and Robert, Gabriela and Pietro are travelling as teams and all are good. John is in a lot of pain due to blistered toes. So, it will be a slow journey now for them. But they have got plenty of time. We will check on them again later today. Photos and more detailed news will follow later on. Gary and Josh checked on all athletes on the course just now. They are all doing good. Their SPOTs are working. So, you can follow them on their final stages to the finish line. Eliot and John were the last ones arriving into Pelly Crossing this early morning. They were knackered but fine. Still making lots of jokes. Although I think when Diane treated John’s bilsters there definitely was no smile to be seen. They alread left for the next checkpoint. James and Robert are on their way to Pelly Farm. The rest in Pelly Crossing did them good. Robert’s back seemed better and I am sure they will like the experience on the Pelly River today. Brian Bell from Ireland was also feeling good and enjoyed to talk to the guides on the trail. He will have a great time on Pelly Farm. I hope he does not get too comfortable, though. Mei who is our first participant from China and finished the 100 miles went on to volunteer afterwards. She did a wonderful job and now is on her way to Pelly Farm. On foot. As she wants to gain a bit more experience and hopefully come back in 2015 to do the 430 mile distance. I will now bring Anais and Laure-Anne to Pelly Farm to help there with arriving athletes. Nic will come back to Pelly Crossing with me. On the way out we will see Torben and cheer him on. His friend and 300 mile winner Johnny and also Diane are there to congratulate him when he crosses the finish line. Gabriela and Pietro from Italy who continue their race unranked are on the Pelly River now, too. They will get some beautiful footage for their video/TV project. Temperature were very cold last night and continue to be cold. I would not be surprised if it got close to – 40 in some spots on the rivers and lakes. Still everybody is handling this challenge really well. Danish athlete Johnny Andersen arrives at the 300 mile finish February 4th at 14:10. Not only does this mean he won the race but with this time he also broke the record for the foot category by more than 2 hours. And that is not even taking into account the time he was held at McCabe. So, we all congratulate him. That was an incredible achievement. Apart from the shin splints which are not too bad he is fine and now resting at Pelly Crossing. Torben is still in pain with his legs but he endured it to here and I am sure he will have enough motivation to reach the finish. Right now he is at Pelly Farm where Nic and Dale take care of him. Earlier today I saw Brian Bell arrive in Pelly Crossing. He was still going strong but he did admit that he is getting a bit tired. He is currently resting. The last athletes to reach Pelly Crossing were James Binks and Robert Hodges. Robert has some back problems. James is fine. They will have a rest and then head out to the farm. Eliot and James who form team Eliot Edward Endurance are on their way to Pelly Crossing. When I saw them this morning they were fine. Tired but fine. Those two have a great humor. It’s really fun to see them at the checkpoints because they may have had a really rough time on the trail but they keep their positive attitude. And that’s key. Gabriela and Pietro were driven to McCabe and continue their race unranked. They both actually are in great shape. I guess they just misjudged their speed a bit. And I am sure their filming project cost them some valuable time, too (they are filming their experience for Italian TV). All in all I am really impressed about how the athletes are handling the – 30 degree temperatures. No signs of frostbite so far.